That’s an icky question. Do you need to lose weight? Icky because your health and fitness is defined by so much more than just a number. Your weight is very much like your character’s stat pool in Dungeons and Dragons. It’s a pretty decent way to get a baseline about yourself, but it doesn’t actually tell you anything practical about your performance, health, and fitness. You can have an 18 CHA and miss your Diplomacy roll. You can have a 22 STR and still whiff against that Bugbear. You can weigh 150 pounds and still not fit into those skinny jeans or that fitted 1MX shirt from Express. Despite what the numbers say. They say you should be able to do those things–no, not even that. They say you might be able to. Not that you can or will. None of that means you’re a crappy Bard or Fighter, nor are you the avatar of Fatty McFatpants. Because I’m pretty sure that somewhere in your campaign, you smashed the face off a camp of Kobolds or wooed a beautiful barmaid with a song. Or maybe your body isn’t shaped right for 1MX, but you look damn good in a Calvin Klein suit and gingham shirt. And starting a fitness quest is tough. It’s harrowing and stressful. Because we’re all trained to see ourselves as imperfect and in need of improvement. Plus, with the current health and fitness industry’s obsession with BMI, there’s an easy way to see our imperfection. Except that’s not necessarily the case. BMI is mostly crap because all it does is indicate if you’re height/weight proportionate. That’s it. Like weight, it’s a decent gauge, but it doesn’t take fat or muscle content into account. You can be in the normal range of BMI and have a massive potbelly that flops over your pants and pretty much absorbs your belt buckle. Or, you can run a sub-2hr marathon and be overweight according to BMI because you’re short and have a ton of muscle on your body. So tell me, in either case, would you need to lose weight? According to BMI (and BMI alone), the runner would need to lose and buckles over there would be just fine to keep on keeping on. According to the logic of health and fitness, the opposite would be true. Much like when you’re slinging around your D20s to roll up a new character sheet, don’t obsess over the numbers. 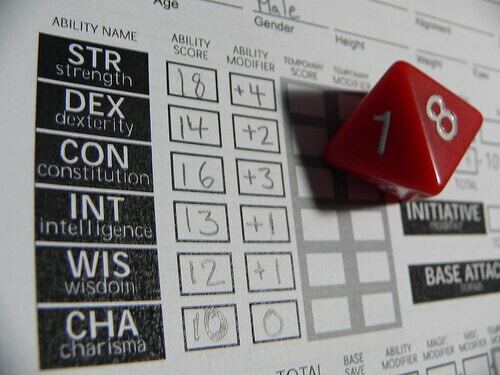 In the overall narrative of that campaign, your Cleric having a 17 WIS instead of 18 won’t make much of a difference, and neither will you being at 155 pounds or 165. Once you wrap your mind around the idea that weight is just a number, you’ll be well on your way to health, happiness, and fitness. Real health, happiness, and fitness. So do you need to lose weight? Who knows? And more importantly, who cares?